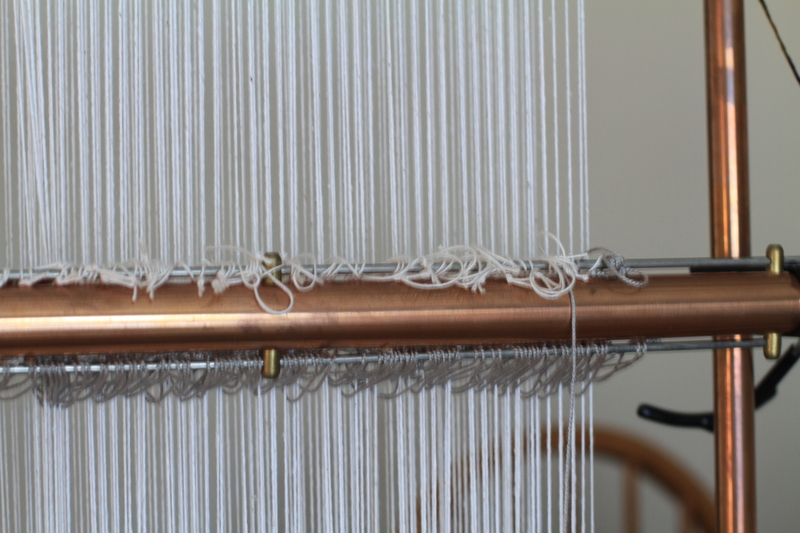 I’ve managed a few fiber projects in recent weeks around all the spring time farm work. I’ve been making inkles over the winter and this week did two from 100% Dancing Waters Farm yarn (70% mohair and 30% wool). The draft is the same for both as they were both done with the same threading, but I used white for the weft of one and black for the weft of the other. The difference is only in the edge, as the last two threads are black. I prefer the solid black edge, but the white ticking version along the edge is pretty too and the difference in appearance between the two is not huge. 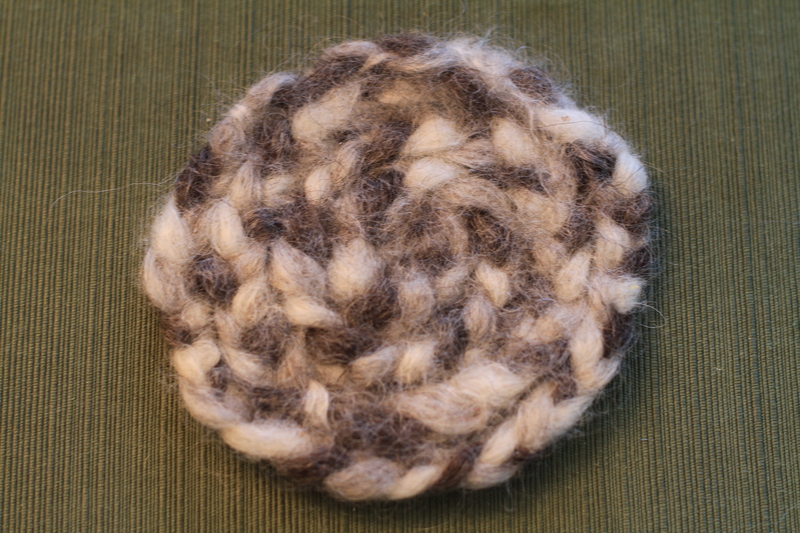 Using a tweed for the center section gives it a gentler look. Will go for greater contrast on my next project for comparison. 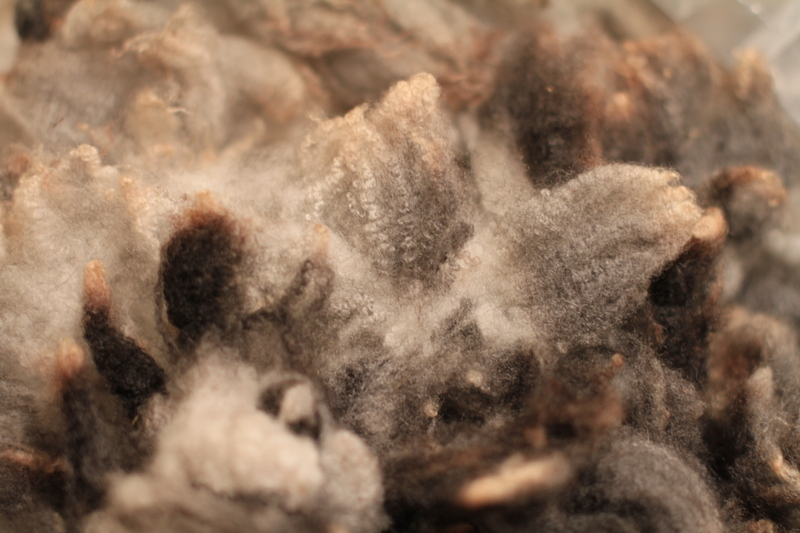 Another project was spinning a variegated fleece purchased at the 2013 Garden State Sheep Breeders Fleece Show and Sale. It is a black and white fleece, and the color of some of the locks change from white to black along the lock. According to the sheep’s owner, the color change along the lock reverses from year to year. 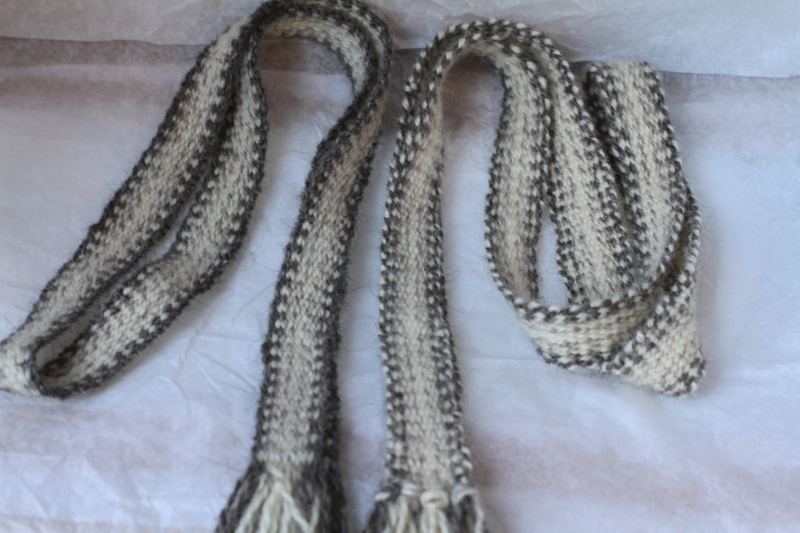 I thought this would be perfect for hand spinning from the lock as the beautiful natural variegation would end up a uniform grey if it were carded into roving. So…it did not turn out as I had imagined but it is still a pretty skein. 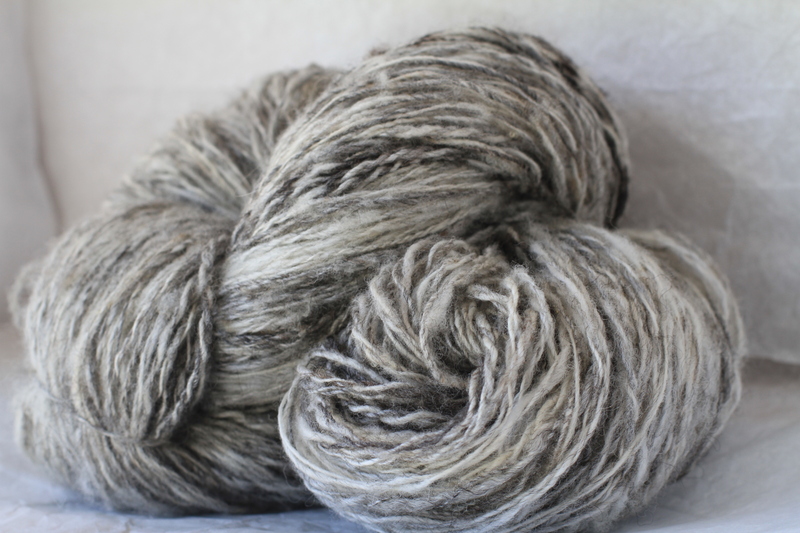 Most of the rest of the fleece is a gorgeous pale steel grey and I look forward to spinning the rest of it. My plan is to use this skein in a tapestry rug, thinking it has perfect color variations for a cat outline but it would be good for a sheep too! As well as hand braiding three colors of roving, then stitching them together. 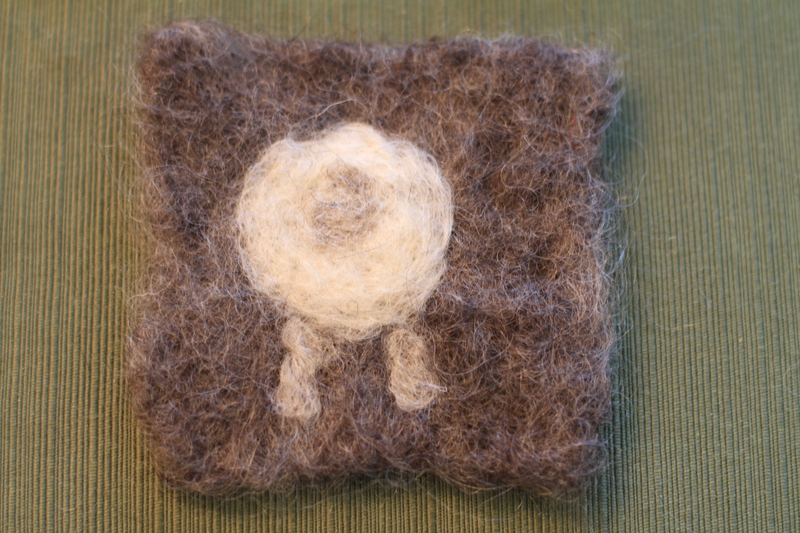 Next I needle felted one, wet felted another for comparison. I much preferred the needle felted version. I’ve gotten my tapestry loom warped and my drawings taped up behind the warps, ready to go. Now to select my background colors and get started! 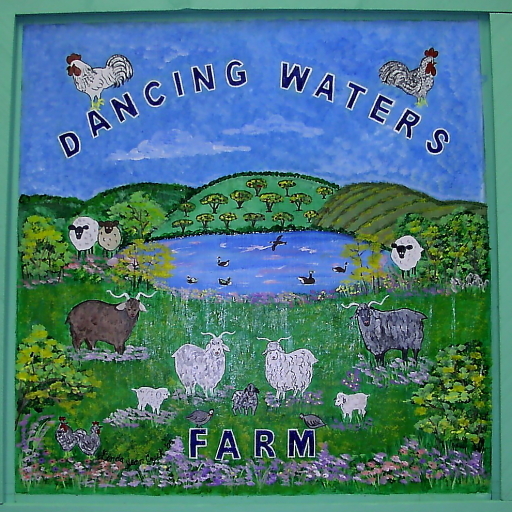 Copyright © 2017 Dancing Waters Farm aka Mostly Mohair All Rights Reserved.